Today we went back to the project and did a kids club with the kids. We had around 75 kids today! It began with music followed by a message from Eduardo. 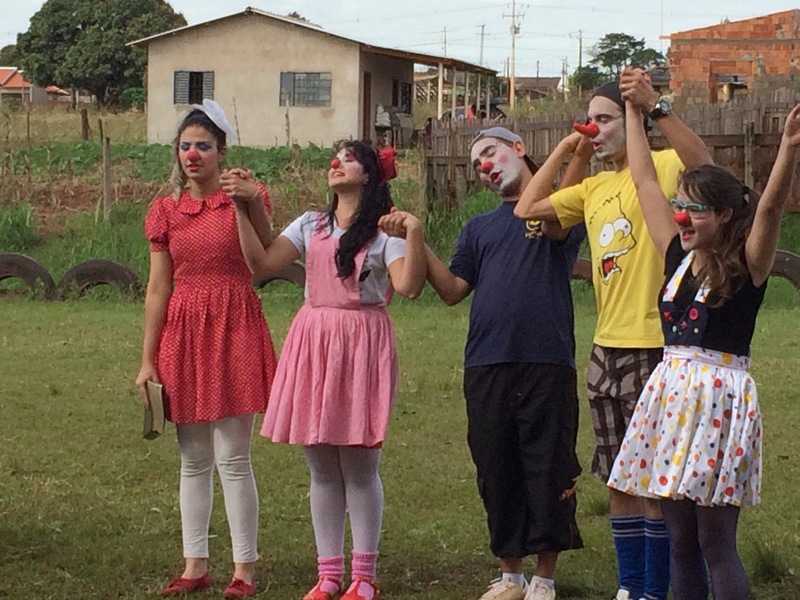 Several from the team from Assis dressed as clowns and did a skit. Then we broke into small groups and the kids discussed the message they just heard. After group time, we had recreation and a craft (bracelets), and then ended with a snack (crushed Oreos and gummy worms). We have church tonight around 730. Then dinner. The weather was great today. No rain. Please pray for Florestopolis and for the kids and their families. God is able to immeasurably more than we can ask or imagine!